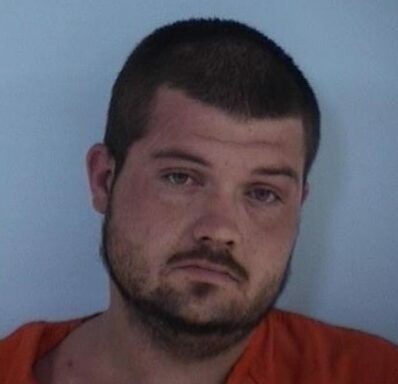 WALTON COUNTY, Fla— Deputies locate a stolen trailer and motorcycle at a home in DeFuniak Springs and later find the suspect hiding underneath the house. Monday afternoon Walton County Sheriff’s Office received information regarding a sighting of a stolen trailer and motorcycle in the area of Double L Road. Deputies on patrol in the area noticed a white Chevrolet parked in the backyard of a home off of Lancelot Road. The truck had a trailer attached with a red motorcycle fitting the description of the stolen property. Deputies made contact with the home’s owner who gave them permission to search inside. After further investigation deputies were able to determine David Wayne Wray Jr., 26, as the suspect and discovered he had fled through a trap door in the floor of the house. Wray was located two hours later hiding under the home. Wray was arrested and charged with grand theft auto and transported to the Walton County Jail. Wray also had an active warrant for theft of utilities.